Sojourn Music Therapy – There’s MORE to LOVE! 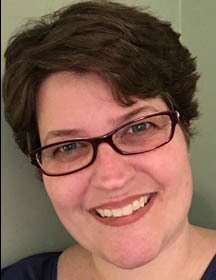 Our favorite Music Therapist, Jennifer Hicks, MT – BC, RYT from Joyful Noises, LLC is bringing even more fun with her this summer! Join us in welcoming Jennifer Blair and Anna Shevik from Augsburg College! Read about these two talented women who we are so blessed to welcome…. Meet Joyful Noises Music Therapy Practicum Student, Jennifer Blair! Jennifer graduated in 2000 from North Central University with a degree in vocal performance. In 1995, while studying cross cultural studies, she did an internship in Russia where she lived and studied language and culture for a year. During that time she was busy singing with a music team and traveling with a drama team. Learning to communicate with very little access to English speakers was one of the biggest challenges, but one she thoroughly enjoyed. Jennifer has spent most of her life leading and singing with music teams in local churches. After college, she has had many opportunities to travel overseas to work with groups in especially Ukraine. Some of those opportunities included bringing teams of youth along with her to experience a new culture. She was involved in youth conferences, camps, and public speaking in the city and small villages about life issues. In addition, she often was asked to sing and teach vocal skills to music team members in the area. Other countries Jennifer has had the opportunity to visit doing similar work are China, Indonesia, New Zealand, Bosnia, Croatia, and Holland. 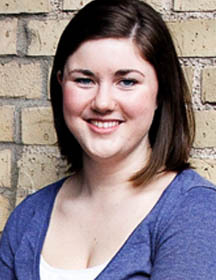 Currently, She is a graduate student at Augsburg College in the Music Therapy program. Jennifer is very excited to have the opportunity to share her love of music with others and show how it can help bring peace, healing, and restoration to people’s lives. Jennifer will be with Joyful Noises Tuesdays 10am until 1:30pm through August 23rd. Meet Joyful Noises Music Therapy Intern, Anna Shevik! wonderful work under the supervision of Jennifer Hicks and Lindsay Markworth. She is excited to make music with everyone and learn about these settings and different therapeutic techniques during her internship! Anna has previously completed field work at MacPhail Center for Music, Good Samaritan Society Center, Children’s Hospitals and Clinics in Minneapolis, The Fountains at Hosanna!, and Midwest Special Services in Apple Valley. Anna currently works at Spero Academy, an inclusive charter school in Northeast Minneapolis, and sings at Mount Olivet Lutheran Church: WEST Campus as the soprano section leader and soloist. Along with her music therapy studies, she is an active vocalist in the Twin Cities community and has sung with several professional choirs. She has a vocal performance degree from St. Olaf College in Northfield, MN and spent time as a nanny in Germany before pursuing her music therapy education. Anna loves to run around the lakes, eat ice cream, travel, plan for her upcoming wedding, and spend time with her family and friends. Anna will join our music therapy sessions starting the week of June 5th. She will continue working with us through the beginning of April 2017. Let’s give them a warm welcome! !